I brought my kite from the USA to China, which sounds as ludicrous as Anheuser Busch importing their own rice to this country to make Budweiser beer. 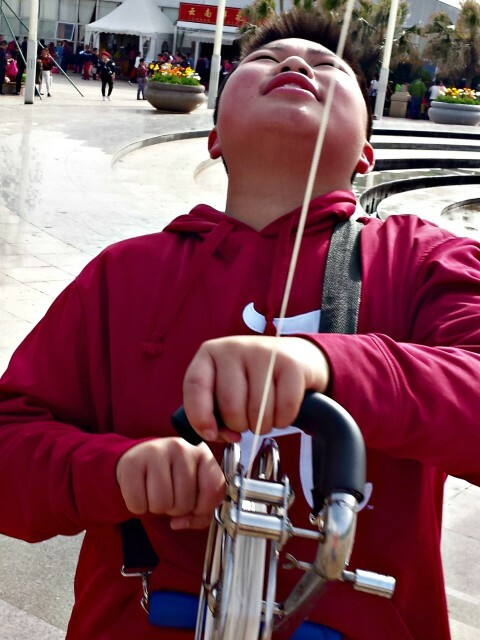 In China, fengzheng flying (pronounced phone-jen) is a serious hobby, where yeyes, (wise grandfathers) rule the skies and teach youngsters the ropes. Or in my case, give advice on how to untangle a three thousand feet of kite line. 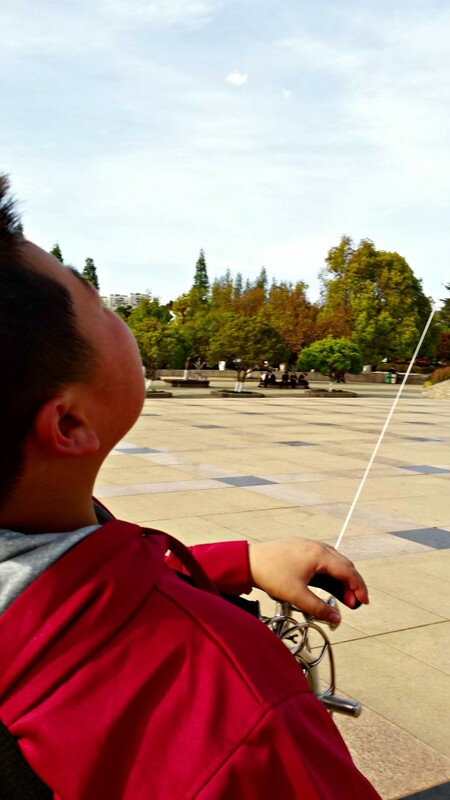 I hauled my kite nine thousand miles from the Windy City to Kunming to fly with the masters. And while the box kite survived the flight, my kite string did not, the plastic reel cracking to smithereens, having the power to slice your fingers into human hash browns if the kite started soaring. 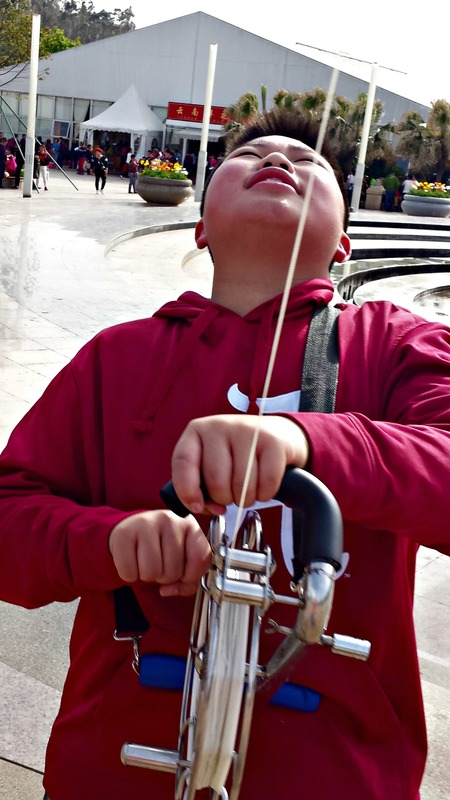 That’s when I decided to go to the fengzheng man at Kunming’s Bird and Flower Market, where I purchased this state of the art kite winder, something that looked like it could reel in my marlin. 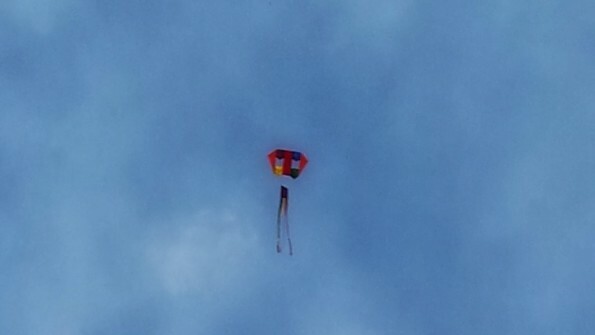 But within thirty seconds of take off, my kite was down, the line as tangled as a down spider web. A real máfan, or mess. A few of the yeyes helped me with my mess, with their white hair and toothless grins, but after ten minutes, they wised up and took off. Luckily, my students came to the rescue. It took about 4 hours to detangle, along with a bribe of a few Dove bars and a “get out of homework” one time pass. The next day, my students and I braved the skies again. This time, we did better. No knots, no tangles, Just a lot of fun. Love this story Ginger, especially how the yeyes wised up and left! I laughed out loud. Thank you for sharing! Thank you! The old guys think I have a lot to learn. I brought home a box kite from China. It was beautiful. Made out of bamboo and printed silk. We saw the men flying them and couldn’t resist. Randy tried to fly it in Bushnell but it was too windy. I know what to get you for a gift!